November is a month of gatherings. When we gather together this month, we are asked to think about things we are thankful for (at least that’s always been my family’s tradition). Even though the origin of Thanksgiving may not have happened the way we have all been taught in school, it has come to represent a time of family and friends, of thankfulness and of blessings. What the holiday has become is a wonderful tradition for families and a great celebration of the things in life that we may take for granted throughout the year. As we do gather together over a bountiful table, certain aromas tend to be present. The smell of the turkey and dressing are, of course, the most prominent. Now, each family has their own recipes. Being from the South, I don’t believe oysters have any business in my dressing (supposedly this is common in certain areas, and is even supposed to be an ingredient in the first Thanksgiving dressing recipe). However there are certain spices that make themselves into every dressing recipe I have ever encountered. One of these is sage. Sage has been used in most cultures as a medicinal and culinary favorite (I use it in my Pumpkin Sage bread). The ancient Romans actually revered this herb so much that they created a special ceremony just for the gathering of sage. The Greeks and Romans both used this herb to help preserve meat (science believes that this is due to its high level of antioxidants). 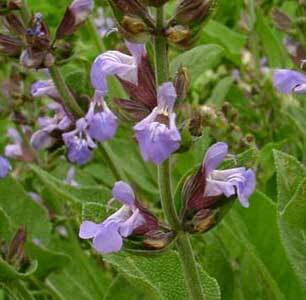 Arab physicians in the 10th century believed that sage promoted immortality. 14th century Europeans used sage to protect themselves from witchcraft. It was also prized in 17th century China for the flavorful tea it makes. Today, sage has become one of the most commonly burnt herbs for smudging, which is a practice that comes from the Native American use of burning herbs to cleanse one’s self and space, as well as to connect to nature and spirits. The actual herbs used in this way by Native Americans varied among the tribes (some of them are very secretive about what herbs the used) and were typically not burnt in a bundle, but instead in a bowl or shell. But the current practice is beneficial (even for you healthy skeptics), as sage smoke helps us to de-stress and fights the bacteria in the very air we breathe. I have used a strong sage tea as a mouthwash and gargle to fight gingivitis and heal a sore throat. Sage tea can also be used to fight fevers, to calm nervous anxiety, to stimulate digestion, improve liver and kidney function, as a wash for the skin (makes a great toner and helps fight acne), as a hair rinse (makes hair super shiny and helps to darken hair if left on for an extended time), helps reduce excessive sweating, is a natural deodorizer (great for body and home), helps relieve hot flashes in menopausal women, helps deal with feelings of grief and depression, helps protect against cardiovascular diseases, and can help improve brain function and memory. You can also use sage as a steam inhalation to help with asthma. 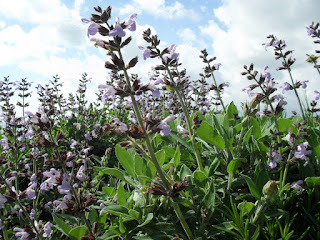 Sage poultices can also be beneficial in first-aid situations where antibacterial action is needed. 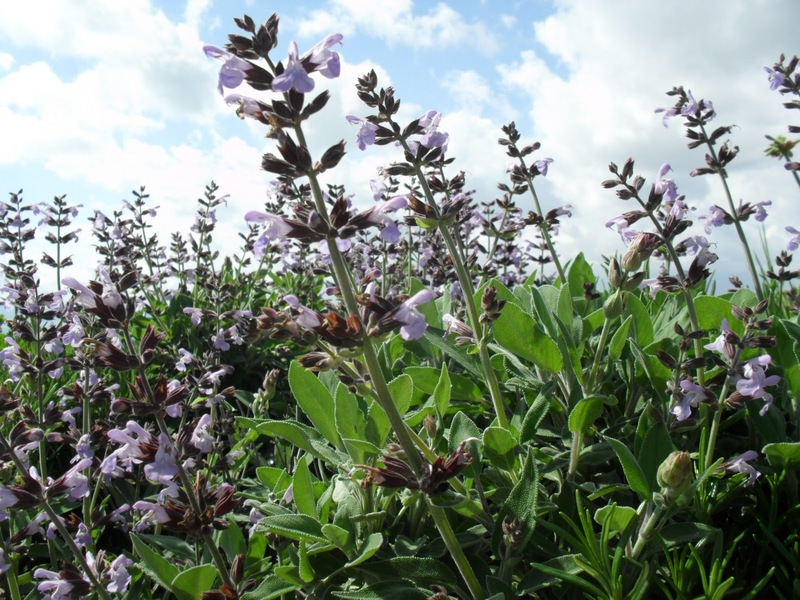 There are many more benefits of sage and I could probably write a small book on the subject! For all of you new moms, and mom-to-be’s out there, you should avoid taking this herb in medicinal doses, or even at all. It stimulates menstrual flow which could cause complications in the early stages of pregnancy. It also dries up milk flow, so breastfeeding moms should avoid this herb until it’s time to wean your baby (at which point it could be very helpful). It could also cause a minor allergic reaction in people who are allergic to other plants in the Lamiaceae family. You should also use caution with this herb if you are prone to epileptic seizures. Thank you all for reading this. I hope you enjoy sage as much as I do and if you have any questions or comments, please leave them down in the comments below!